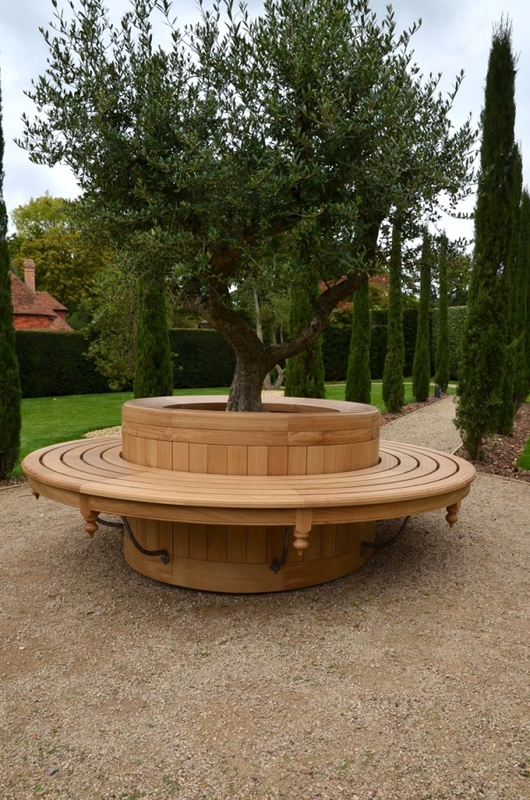 Could we make a circular oak seat around an olive tree that was in a concrete tub?, it should not sit or have legs that go to ground. 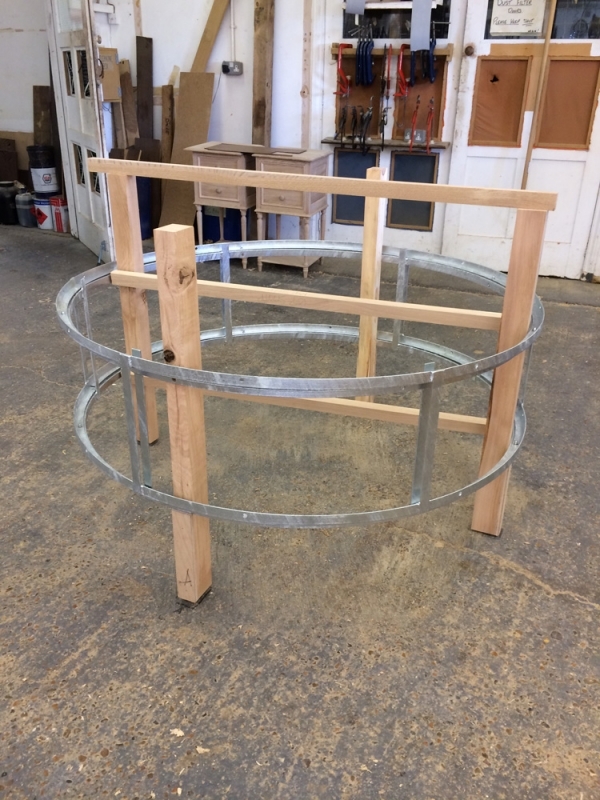 Many ideas later we decided that it would be best to use two metal rings, an inner and outer, the inner ring would be bolted to the concrete and the outer would have all the woodwork attached to it. 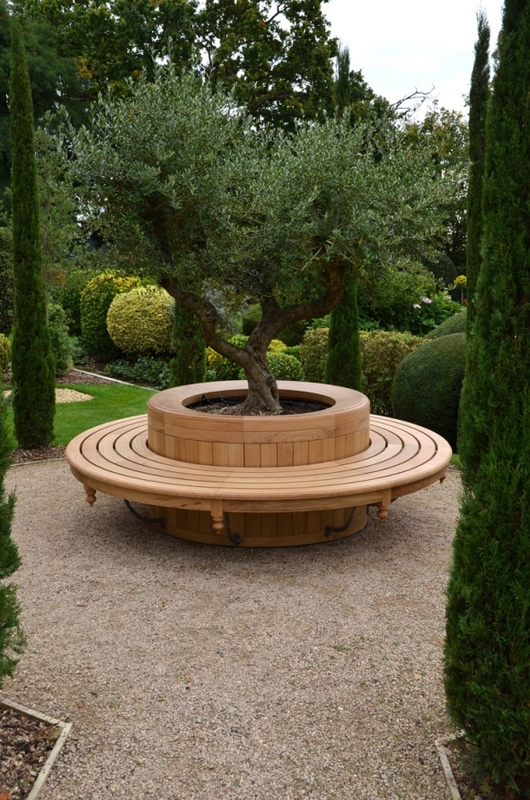 The seat also had to be made in two halves as it could not be lifted over the tree in one piece. 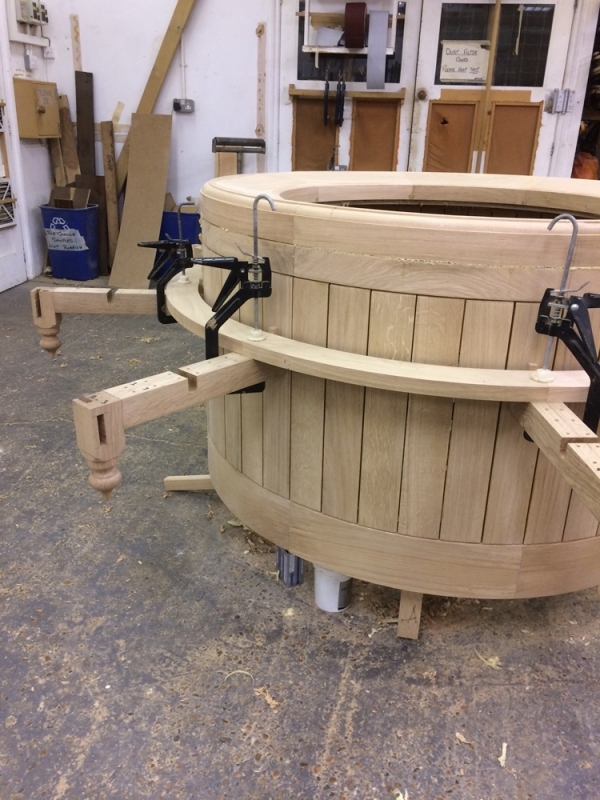 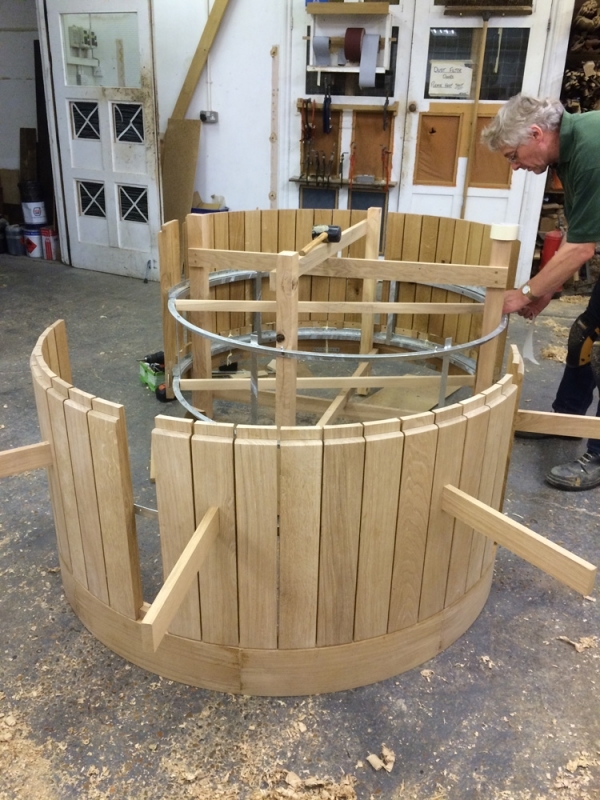 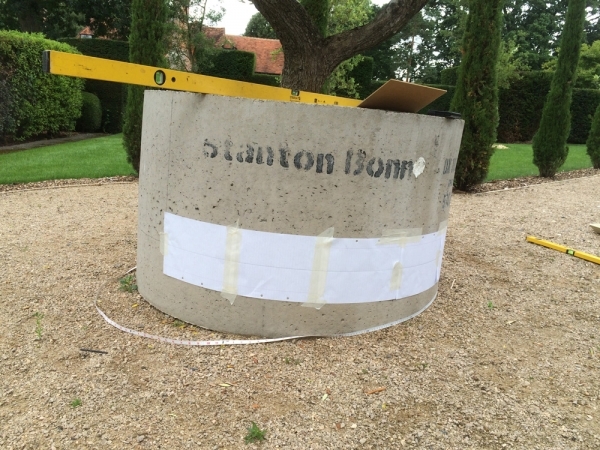 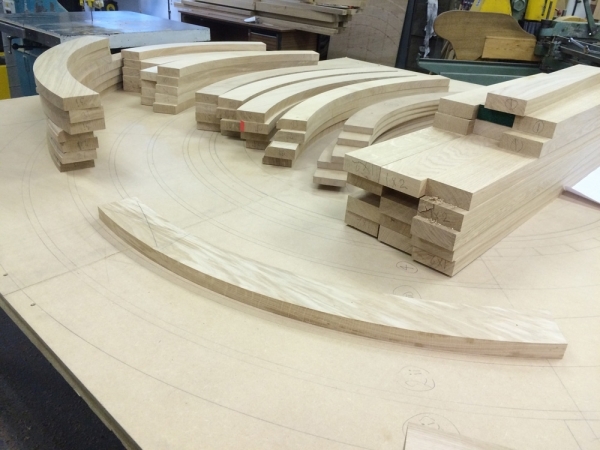 There was nothing straight forward about the machining process, every different radius needed a separate template or former made and the curved parts use a large quantity of timber, the heavy sectioned oak capping was angled to help water drain into the soil. 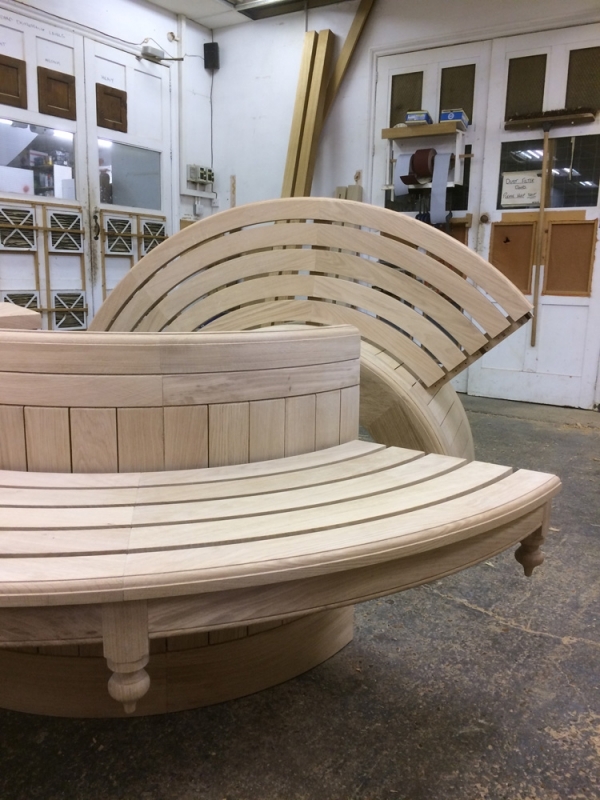 Bespoke iron supports were hand forged and then galvanised to minimise any reaction with the oak.